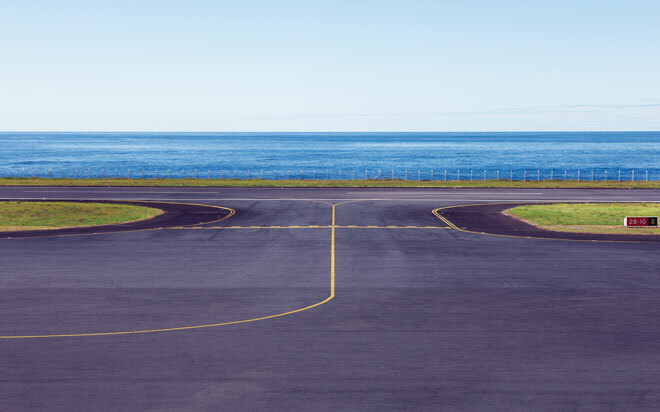 Airport pavements are designed to withstand repeated loading imposed by aircraft, resist abrasive action of traffic, and endure deterioration induced by adverse weather conditions and other influences. 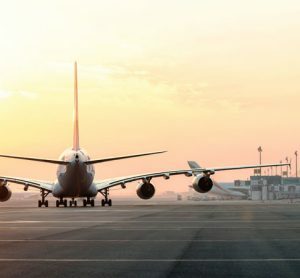 A typical civil airport is serviced by a fleet of aircraft with different weights and gear configurations and, thus, the airport pavement is designed to withstand the repeated traffic loading of the entire range of aircraft over many years – not just the heaviest aircraft1. 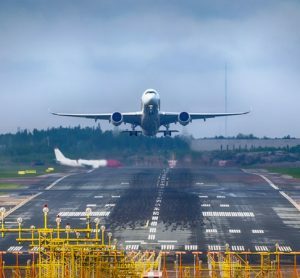 It is forecasted by the Federal Aviation Administration (FAA) that annual enplanements will grow from 731 million passengers in 2011 to 1.2 billion by 2032. The FAA Next Generation Air Transportation System (NextGen) was conceived as a multi-agency, multi-year programme for modernising today’s National Airspace System (NAS) to meet the growing demands of increasingly congested airspace. Implementation of NextGen technologies in our airports necessitates research and development of technologies, methods (such as going from a 20- to 40-year pavement design, resulting in lower reconstruction costs and fewer disruptions to airport operations), materials, and procedures that will be required to accommodate the increased traffic safely. These evolving requirements combined with changing governmental responsibilities and fiscal regimes have resulted in the need for innovative and sustainable airfield pavement engineering solutions that address all aspects of airport pavement design, construction, and evaluation, such as mix design, material selection, environmental factors, maintenance, sustainability, and life-cycle cost analysis procedures. Historical airport pavement design methodologies have largely been based on empirical research and field performance. With the arrival of new large aircraft and the associated design challenges for pavements – including increasing aircraft weights and complex gear configurations – the FAA adopted layered elastic theory for flexible airport pavement design and three-dimensional finite element (3D-FE) procedures for rigid airport pavement design. These mechanistic-based design methodologies, implemented in the FAA Rigid and Flexible Iterative Elastic Layer Design (FAARFIELD) programme, are considered robust and can be adapted for addressing future gear configurations without modifying the underlying procedures1. For rigid pavement design FAARFIELD uses the 3D-FE model, NIKE3D_FAA (implemented as a dynamic link library written in FORTRAN), to compute the maximum horizontal stress at the bottom edge of the Portland Cement Concrete (PCC) slab as the pavement structural life predictor. The NIKE3D_FAA (sometimes referred to as just NIKE3D) has resulted from an extensive modification of the NIKE3D programme originally developed by the Lawrence Livermore National Laboratory (LLNL) of the U.S. Department of Energy2,3. By limiting the horizontal stress at the bottom of the PCC slab, cracking of the surface layer is controlled, which is the only rigid pavement failure mode considered by FAARFIELD. It does not consider the failure of subbase and subgrade layers. For a given airplane traffic mix over a particular subgrade/subbase, FAARFIELD provides the required rigid pavement slab thickness4. One of the major observed failure modes for rigid pavements, top-down cracking, is poorly accounted for in the current FAARFIELD rigid pavement design procedure. FAARFIELD 2.0, a research version of the FAARFIELD design software, has been developed by the FAA in which the single-slab three-dimensional finite element (3D-FE) response model is replaced by a four-slab 3D-FE model with initial temperature curling. However, the long and unpredictable run times associated with the four-slab model and curled slabs make routine design with this model impractical. In order to expand the FAARFIELD design model beyond the current reduced one-slab model, the FAA is seeking practical alternatives to running the 3D-FEM stress computation as client software. An ongoing FAA-sponsored research study at Iowa State University (ISU) is investigating artificial intelligence-based alternatives such as artificial neural networks (ANNs) that have the potential to give accurate stress predictions in a fraction of the time needed to perform a full 3D-FE computation. The capability of ANN-based surrogate response models to successfully compute lateral and longitudinal tensile stresses, as well as deflections at the bottom of jointed concrete airfield pavements as a function of type, level, and location of the applied gear load, slab thickness, slab modulus, subgrade support, pavement temperature gradient, and the load transfer efficiencies of the joints has already been demonstrated previously5,6. The concrete mix design approaches currently used for airport pavements in the U.S. are based on recipes that have been used before, or on prescriptive specifications limiting type and amount of materials to primarily meet strength requirements7. However, the concrete pavement mixtures designed using these approaches have not always provided the desired ends compromising the durability, sustainability, and longest service life of concrete pavements. Poor mix proportioning leads to concrete pavement structural deterioration during the early stage of their service lives. Early rehabilitation of the deteriorated concrete pavement structures requires additional time, equipment, labour, materials, and cost. Performance engineered concrete has been recognised as an alternative that is better able to deliver designed performance requirements and enable more efficient usage of local materials. The mix proportioning procedure for performance engineered concrete can be achieved by specifying aggregate system, paste quality, and paste quantity7. Choosing an aggregate system with a high amount of aggregates would result in the minimum voids content and consequently lead to minimum paste content requirement. Controlling paste quality involves the selection of cementitious system, water-to-cementitious materials ratio (w/cm), air content and chemical admixtures for the desired performance criteria, including workability, strength, and durability properties. Optimisation of paste quantity determines the required paste volume for the desired performance criteria. Proper characterisation of unbound materials is important since the stiffness of these materials may be highly influenced by the stress state (non-linear) and in-situ moisture content. As a general rule, coarse-grained materials have higher stiffness as the state of the confining stress is increased. In contrast, clayey materials tend to have reduced stiffness as the deviator stress component is increased. Thus, while both categories of unbound materials are stress dependent (non-linear), each behaves differently under the changes of stress states. However, the California bearing ratio (CBR) used in the current FAA flexible pavement thickness design procedure does not count on such behaviours. Advanced characterisation of unbound materials through the use of laboratory or in-situ tests would provide realistic unbound material properties which can justify airport pavement thickness design. Recycling waste construction materials in new pavement construction can reduce the need for virgin materials, preserve the environment, and save landfill space. Waste construction materials commonly used in pavement systems are recycled concrete aggregate (RCA) and reclaimed asphalt pavement (RAP) for unbound base course applications in pavement. These recycled materials provide at least similar, if not better, mechanical performance characteristics in terms of stiffness, freeze-thaw and wet-dry durability and toughness, compared to the virgin materials. However, the use of RCA in concrete pavement base/subbase layers can result in calcium carbonate deposits (tufa formation) resulting in the frequent blockage of subsurface drainage outlets and consequently leading to premature pavement failures8. Although this problem has not been observed/reported with the use of RAP base9, pure RAP (i.e. 100% RAP) can be sensitive to temperature change and may consequently lead to permanent deformation issues10,11. A proportioned mix of recycled and virgin aggregate materials is expected to mitigate these problems. Two-lift concrete paving has become a common construction practice in Europe where the lower lift can be optimised to enable the use of locally available or recycled materials, while the top layer is optimised for long life and functionality. However, two-lift concrete paving has not much application in airport pavement construction in the United States. Potential benefits of two-lift concrete paving, identified mainly from highway applications, include low environmental impact and lower life cycle costs in spite of higher initial construction costs. Considering such benefits, two-lift concrete paving could be an economical and sustainable airport pavement construction option when implemented with well-educated construction practices and to proper specifications. Dowel load transfer systems have been used in concrete pavements to transfer loads between slabs, reduce faulting, and improve overall pavement performance. The use of dowel load transfer systems is a common pavement construction practice in the US, but its requirements vary widely. Recently, the National Concrete Consortium (NCC) has developed recommendations for standardisation of dowel load transfer system design and basket assemblies12. The recommendations cover dowel bar material, diameter, length, corrosion protection, basket height, and other related issues for standardisation. Detailed recommendations concerning the factors considered and the supporting design theories, can be found in the Guide to Dowel Load Transfer Systems for Jointed Concrete Pavements12. The adoption of a standardised load transfer system will reduce dowel production costs and production times which can consequently lead to reduction in overall pavement construction costs. Maintaining the operational safety of runways, taxiways, and ramps during snowfall events is challenging for many airports. Airport pavement snow removal and runway de-icing operations are expensive components of airport operational costs. Occasionally, these operations lead to flight delays impacting travel throughout the U.S. and worldwide. Traditional de-icing methods involving sand/chemical mixtures pose environmental concerns and can potentially damage aircraft engines. Additionally, the costs of owning and operating snowploughs can be substantial for many airports. An alternative to the use of chemicals or mechanical means for removing ice and snow from the airport surfaces is the use of heated pavements. A number of ongoing research studies – sponsored through the Partnership to Enhance General Aviation Safety, Accessibility and Sustainability (PEGASAS), a FAA Center of Excellence (COE) for General Aviation – is currently investigating the efficacy and cost effectiveness of new heated pavement technologies13,14. These technologies include Electrically Conductive Concrete (ECON), application of nano-structured superhydrophobic/icephobic coatings on pavements, and the use of low-temperature Phase Change Materials (PCMs) in concrete and asphalt airport pavements. An important aspect of this research is also to investigate how to best automate the construction of large-scale heated pavements using advanced construction techniques (see Figure 1, page 00). 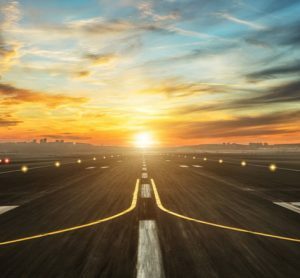 In line with the FAA NextGen research and implementation at airports, faster and efficient pavement condition evaluation (i.e. minimal closure of runways and taxiways) and delivery of comprehensive and rational report summaries to airport managers who are in charge of pavement maintenance and repair decisions, is a strongly identified need. The recent advancements in smart sensing technologies, viz., Micro-Electro-Mechanical Sensor (MEMS), Nano-Electro-Mechanical Sensor (NEMS), and Fibre Optic Sensor (FOS) technologies and wireless sensor networks, combined with efficient energy scavenging paradigms, provide opportunities for long-term, continuous, real-time response measurement and health monitoring of airport pavement systems. Based on a comprehensive review of literature and vendor survey, Ceylan et al.15 synthesised the latest information available, as of 2013, on off-the-shelf MEMS devices, as well as research prototypes for bridge, pavement, and traffic applications. Similarly, FOS is another promising smart sensing technology for airport pavement health monitoring. In general, fibre optic sensors have small size and weight and can be used in explosive and corrosive environments. The use of embedded or surface-mounted micro/nano sensors and devices is definitely a step forward in the in-situ characterisation of airport pavement responses and properties. Yet these systems suffer from drawbacks, including low survival rate, incompatibility with the structural systems, high cost, etc. To overcome these limitations, researchers have put forward the idea of self-sensing or multifunctional structural systems where the structural system itself has the sensing capability apart from its main load-bearing function. For instance, self-sensing (piezoresistive) cement-based materials, engineered by incorporating electrically conductive fillers into the matrix, have the potential to monitor strain, stress, or cracking in themselves (through changes in electrical properties) while maintaining adequate mechanical properties. Apart from self-sensing capabilities, multifunctional airport pavement systems can be nano-engineered to derive other non-structural functions such as self-healing, self-heating (please refer to the previous section on Heated Airport Pavements), and self-cleaning capabilities. Brill, D.R. (2000). Field Verification of a 3D Finite Element Rigid Airport Pavement Model. FAA report DOT/FAA/AR-00/33. Federal Aviation Administration (FAA), Washington, D.C.
Ceylan, H., Tutumluer, E., and Barenberg, E. J. (1999). Artificial Neural Networks for Analyzing Concrete Airfield Pavements Serving the Boeing B-777 Aircraft. Transportation Research Record: Journal of the Transportation Research Board, No. 1684, pp. 110-117. Ceylan, H. (2002). Analysis and Design of Concrete Pavement Systems Using Artificial Neural Networks. University of Illinois at Urbana-Champaign, Urbana, IL, pp. 256. Taylor, P. C., Yurdakul, E., and Ceylan, H. (2014). “Performance engineered mixtures for concrete pavements in the US,” Proceedings of the 12th International Symposium on Concrete Roads, Prague, Czech Republic, September 23-26, 2014. Ceylan, H., Kim, S., Gopalakrishnan, K., Steffes, R. F., and Yang Bo. (2015). Evaluating Roadway Subsurface Drainage Practices – Phase II. IHRB Project TR-662. Institute for Transportation, Iowa State University, Ames, IA. Kriech, A. J., and Townsend, T. G. (2006). Leaching Characteristics of Recycled Asphalt Pavement: RAP May Be Suitable As a Fill Material. Research Synthesis Bibliography 4. Virginia Department of Transportation, Charlottesville, VA.
Edil, T. B., Tinjum, J. M., and Benson, C. H. (2012). Recycled Unbound Materials. MN/RC 2012-35. Department of Civil and Environmental Engineering, University of Wisconsin – Madison, Madison, WI. Hoppe, E. J., Lane, D. H., Fitch, G. M., and Shetty S. (2014). Feasibility of Reclaimed Asphalt Pavement (RAP) Use as Road Base and Subbase Material. VCTIR 15-R6. Virginia Center for Transportation Innovation and Research, Charlottesville, VA.
National Concrete Pavement Technology Center (CP Tech) (2011). Guide to Dowel Load Transfer Systems for Jointed Concrete Roadway Pavements. Iowa State University, Ames, IA. Abdualla, H., Ceylan, H., Kim, S., Gopalakrishnan, K. Taylor, P., and Turkan, Y. (2016). “System Requirements for Electrically Conductive Concrete Heated Pavements.” To appear in Transportation Research Record: Journal of the Transportation Research Board, No. 2569, DOI: 10.3141/2569-08. Ceylan, H. (2015). “FAA PEGASAS COE Project 1: Heated Airport Pavements,” the FAA PEGASAS COE 3rd Annual Meeting, Purdue University, West Lafayette, Indiana, May 27-28, 2015. Ceylan, H., Gopalakrishnan, K., Kim, S., Taylor, P. C., Prokudin, M., Buss, A. F. (2013). “Highway Infrastructure Health Monitoring Using Micro-Electromechanical Sensors and Systems (MEMS)”. Journal of Civil Engineering and Management, Vol. 19, Issue sup1, S188–S201. Halil Ceylan is a Professor in the Department of Civil, Construction and Environmental Engineering (CCEE), Director of Program for Sustainable Pavement Engineering and Research (PROSPER) at the Institute for Transportation at Iowa State University (ISU). He received his PhD in Civil Engineering in 2002 from the University of Illinois at Urbana-Champaign, USA, and he has been with ISU since then. Dr. Ceylan serves as the ISU Site Director for FAA Partnership to Enhance General Aviation Safety, Accessibility and Sustainability (PEGASAS) Center of Excellence (COE) for General Aviation. Kasthurirangan ‘Rangan’ Gopalakrishnan is a Research Associate Professor in the CCEE, an Associate Director of PROSPER at the Institute for Transportation at Iowa State University. He received his PhD in Civil Engineering in 2004 from the University of Illinois at Urbana-Champaign, USA. Sunghwan Kim is a Research Scientist and an Associate Director of PROSPER at the Institute for Transportation at Iowa State University. He received his PhD in Civil Engineering in 2008 from ISU, and he has been with ISU since then. I am interested in how a pothole problem is dealt with on and around airfield/airports. What response and downtime is incurred etc? Are you interested in new innovations for proven permanent repairs of 6+ years longevity?